In March, the social media had a March Madness game on its text app, by sending a basketball emoji users would be enabled to play a dunking game for as long as they last. The game also let users plays with friends as a competition. The March Madness game became viral among Facebook users, being played around 1 billion times and becoming a major competition between text partners. These games have become very popular in Facebook’s text application, especially because they are hidden and users need to discover which emojis are going to open up a surprise game. The latest game discovered is “Keepy-up” a game enabled by users who send a soccer ball emoji as a message in the application. The game will open, and users will need to keep the soccer ball in the air for as long as they can. 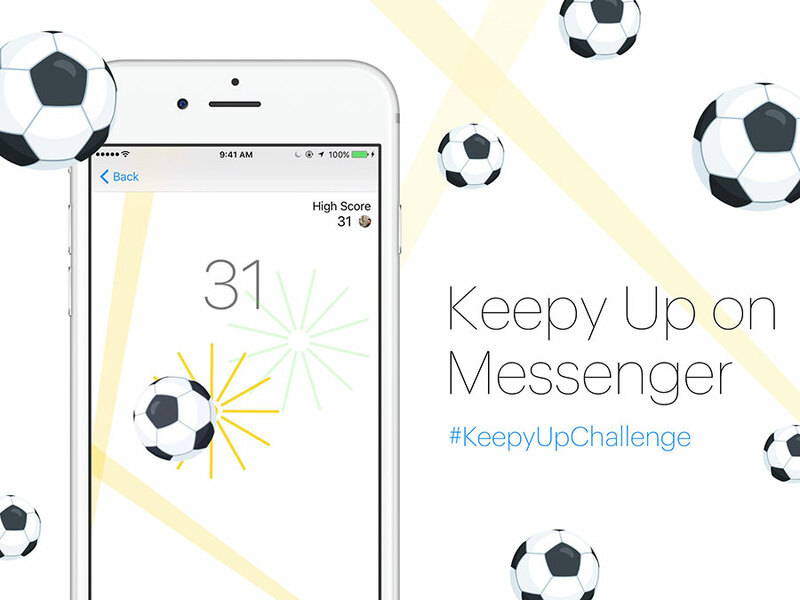 Keepy Up, also lets users challenge their friends to the game and announcing the scores in the chat box, between two friends. In the case of losing, the user will just need to resend a soccer ball emoji to continue playing. The game appeared on Wednesday in the latest update for the text application. The game is available for both iOS and Android users that have updated the app. “This game is difficult. It took me a few dozen attempts to get over 10, after which all sorts of distractions appeared on the screen and I immediately dropped the ball. I’m currently sitting with a personal record of a lowly 11. Embarrassing,” wrote Jason Cipriani in an article for CNET. Facebook Messenger, just as the social media, is constantly updating itself with almost a daily change in its core. Recently the application announced the adding of 1,500 new emojis for the Messenger app “New emojis equals More Diversity” read the flyer. This update aimed to understand and provide more diversity for all of the users in the application, under the name of “Girl Power” the emoji application in the Messenger app now offers female police officers, runners, surfers, swimmers, grandmothers and lesbian couples with kids. The application also updated the emojis for both iOS and Android, so they all can have the same emojis despite having a different device.